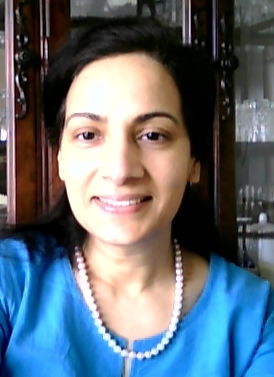 Sucheta Misra Swain taught English in several colleges in Orissa, India, before moving to Dubai. She also taught communication at the American University of Sharjah. In deciding the winners for this contest, these are the things I took into consideration: how interesting your story was, how convincing the characters you created were, your style of writing, and of course, the correctness of your prose. In short, content, form, and grammar. As always judging is difficult, but then you have to hand it to someone! Going through the fantasy world of your story-creations was a truly enjoyable experience for me! I have taught for many years as a college teacher and have come across many samples of creative writing, but this was different, and a lot of fun! It gave me a peek into young minds, and each piece of writing was unique in its own way! Imagination is a beautiful thing; it is what turns you into a creator–the one who creates something new. It could be a story, any other art form, or even a creation of science. I was reminded of my childhood days when I would retreat into a cozy corner at home to read the story and mythology sections of Arthur Mee’s The Children’s Encylopedia, or the Macmillan Children’s Books. On the wings of imagination, I could travel through time and space, suspended in the world of adventure, magic and mythology. It would be my greatest regret to have to get back to doing things like eating and doing my homework. Even as a child, I used to wonder how storytellers could manage to tell such wonderful stories. Easy as it might seem, and even if some of us seem to be born story-tellers, this is an ability which comes only with a lot of practice. · Begin with a clear idea of what you want to write. Take a little time over this. It should be something new and interesting if you want it to make a mark. Even if you are writing about something, say an essay, your viewpoint should be original. Always remember, the idea is the most important thing. · How will you turn your idea into a story? Form an outline of your story. How will you begin and end? What will make your story lively? An outline will make you feel more confident of writing and give direction to your story. Remember that your outline may change as you write. · Begin, in whatever manner you can. Have you heard of something called “writer’s block”? This happens when you get too worried about how to begin. When you do write it may at first look foolish to you, but never mind. As you write, you will find yourself going back to edit and give better shape to whatever went before. Writing is a process of continuous editing. · You have to adopt a style of writing and remain consistent in this style till the end of your story. You may want to take part in the story, go back and forth in time and so on. Do not use too many words when you can use a few to say the same thing. · The beginning and the ending are the most important parts of your story. The beginning entices the reader to continue reading, and the ending creates an impression which lasts. The title of your story can come in last. Your story will keep changing and growing as you write, and the appropriateness of the title can be best judged at the very end. Become your own critic: Go back to your writing the day after, and imagine you are reading it for the first time. Does anything need to be changed? You may think differently when you revisit what you have written. Do a thorough grammar check of what you have written. The first requirement for good writing is flawless prose. Then, proofread to make sure there are no errors in typing etc. I wish you good luck with your next story!